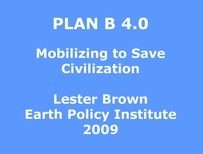 "We have reached a point of planetary emergency. 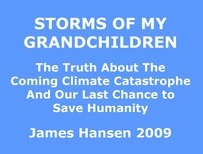 Staying above 350 ppm CO2 for long (present level is 390 ppm) risks irreversible catastrophic effects." "There is no guarantee that catastrophe can be avoided even if we start taking serious evasive action immediately." "In the face of an absolutely unprecedented emergency, society has no choice but to take dramatic action to avert a collapse of civilization"
​Blue Planet Laureate’s UN Rio+20 statement Feb 2012. 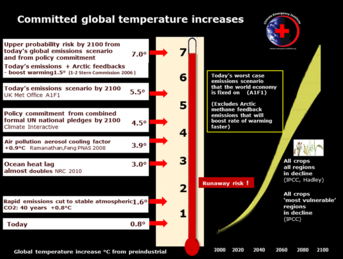 State of the Global Climate June 2012: most comprehensive review focused on the past 20 years. ​Arctic climate planetary emergency June 2012 short series of explanatory images. 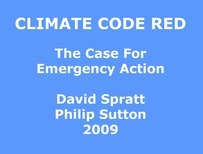 ​Committed climate disruption food emergency June 2012.